How to Create macOS Sierra Bootable USB Installer on Windows 10? In this article, I am going to show you how to create macOS Sierra bootable USB Installer on Windows 10. If you are in the process to install macOS Sierra 10.12 on your PC or Hackintosh. So the first step is to create a bootable USB installer for macOS Sierra to install Mac OS from it on your PC, you can create bootable USB Installer with UniBeast but still, you need a macintosh to download and create macOS Sierra bootable USB Installer. So here we’re to show you how to create bootable USB Installer for macOS Sierra on windows 10 and you don’t need any MacBook or any Apple computer. To create Bootable USB Installer you need to download macOS Sierra image file from the link below and other files that mentioned in the download section with a 8 or higher USB flash drive. The download process is a little bit complicated if you are not known to mega because you have to download it from there, also the credit goes to a Brazilian Hackintosh group. Note: This method works on Windows 7/8/10 and it’s not the TransMac process. Step #1. Firstly, download the following materials from the link below. Step #2. After downloading macOS Sierra image file from the link below Extract it with 7-Zip, Winrar or any other extractor. Step #3. Now Install Win32 DiskImager, open the Win32DiskImage.exe file then click next, next couple of times and other basic installation steps, like license agreement. Step #5. When the installation process completed, click Finish to exit the setup wizard. Step #4. Run Win32DiskImager as admin and select your USB flash drive that wants to use as a bootable device for macOS Sierra 10.12. Step #6. After selecting device, click on the folder icon beside device selection option and browse the macOS Sierra image file that you downloaded from the link above. Firstly change the view mode to ( *. * ) then select Install macOS Sierra and click Open. Step #7. So after selecting the image and USB, click Write then it will show warning messages, click Yes to begin the Bootable USB Installer process. Step #8. Wait for Win32DiskImager to complete the Writing process to 100%. Step #9. After writing process finished then you should get the Successful message like the shot below. Step #10. As mentioned above download “Pacote de Config” after downloading Extract it also by 7-Zip, Winrar or any other extractor. Step #11. Open “Pacote de Config” folder then select your PC if it’s desktop or laptop then from its folder you will find some system graphics Config.plist file. Find & Copy the Config.plist that matches your Intell, AMD or NVIDIA system graphics. Note: Remember that if you didn’t found the exact config.plist file for your system then use the one that is approach to your system. Like if your system graphics is intel 4210 then choose above or below that because it mostly works, though there are many that might fix your system and compatible with Hackintosh. Also, you might find your prepared config.plist file just by a quick googling. Step #12. Now go to your USB flash drive EFI > Clover then paste and replace the config.plist file that you copied from “Pacote de Config” folder with default plist file. Also Read: How to Create Bootable USB Installer for macOS Sierra via UniBeast? It was all about, how to create macOS Sierra bootable USB Installer on Windows 10. If you faced any problem tell us below by comment, feel free to tell us. we’re waiting for your suggestion. I have a problem, once I boot from the USB, I see a white page with the Apple logo and a bar loading…at about 3/4 of the bar my screen turns to completely black without any further process… any ideas? why i get 2 file when i extract using Raw file?? one is EFI system partition and another is disk image.hfsx.. which one need to attach in win disk writer? i have a problem with image file. After downloading i extract it and i recive 2 files. How to make it like on video and tutorial? pls for answer. malo este tutorial… comenzando por los archivos que no concuerdan con el tutorial. why i get 2 file when i extract using 7zip?? Why I get 2 files??? i need the torrent link of mac osx ,because,it contains 5gb. Sorry dear we can provide a torrent link right now. Why in clever bootloader, when I click “Load MacosX Sierra” I only see a apple logo for a moment and it back into bootloader ? If you are facing errors then you must your system config.plist file in the USB Installer then it should work for you. I have trouble with create usb installer, my pendrive is unable to open after write .raw image, what to do with this? I tried more then 10 times but no success, usb down show after completing process.. retrying says disk protected. formatting with dos repeating the process same problem.. There is a problem in Windows 10 to see EFI parition. at least in my 10er environment. do you have any solution ? You can’t read mac formatted partitions in Windows. It’s a raw image and it’s writing the HFS filesystem. Maybe with transmac you can add things. Under linux it’s not a problem to write the image, and after installing the hfs-tools you can actually read and write the usb stick. also pls let me know which config file should i copy and how to find efi folder of usb drive. apple logo stucks in the installation process i guess its because of config file.. I can switch between them inside mac as in windows . If I have laptop ASUS Transformer Book Flip TP550LA with Intel Core i5 and Intel Graphics HD 4000, MacOS Sierra will be working on my laptop? Intel CPU most of the time support macOS but I’ve not tested on this system. You can give a try. thanks for this nice tutorial. I have a question. I have a gigabyte z97k motherboard and an intel CPU without any graphic cards. what’s the appropriate config.plist file for me? Converting my Win10 HP 8300 to a dual boot with Hackintosh. I am installing an MSI GeForce GT 710 (Nvidia) card for my 24″ monitor. Should i use the Nvidia 2nd Gen config.plist? For NVIDIA GTX 710, we don’t have a ready config.plist file. You can try 2nd Gen if it works. I tried your method, but I can’t access the EFI partition, therefore, I can’t change any config file. Hey I tried using this method install Mac OS High Sierra back onto my 13 inch Macbook Air; and my Macbook’s screen froze. I tried restarting the Macbook without the USB and the screen wont turn on for some reason. The Macbook is on from the lighting from the back and from the charger being plugged into it; but the screen won’t turn on now. What should I do in this situation? I extract file “Install macOS Sierra.raw.bz2” use 7Zip. The web site taste is perfect, the articles is really nice : D.
where is config.plist file for my pc? The .dmg is “damaged”. Probably a trojan in it. We don’t have config.plist file for this system. When I write extract the Install macOS Sierra.raw file and use the new extracted file in the Win32DiskImager, the usb no more is readable in Windows 10. It has not Fat32. Using Paragon Partition Manager™ 15 Professional, I underestand that the partition of the usb is Apple HFS (which can not be accessed in windows). I used HFSexplorer to open that in windows but is this disk there is no EFI folder. followed the directions exactly…there is no clover folder. had to download an HFS file browser. i used all the files linked in the article. Do you have EFI Partition from USB device on your computer? If Yes then go to EFI partition> EFI Folder> Clover Folder. Change the Config.plist file according to your system configuration. I got as far as copying the config.plist but cannot copy ist onto the USB Stick as the PC Wangs it to be formatted. I cannot access the USB at all. I then tried different formatting of the USB none of which allowed me then even to copy the image file onto it. So I am entirely stuck. I have similar problem, my HD Mac had SMART failure. I´ll change it but i have no backup. The method you shown will work for me? I have to burn a boot usb drive for mac. 200 MB is the file System. This method is one of the ways to install macOS Sierra on PC. But there are other methods as well that you can check them. Like UniBeast. Once try it without extracting the file. If again it doesn’t work let us know. my usb is 16gb but after doing the write to the usb it the windows tells me to format it and it cannot read the usb and after i format it it shows me only 6gb. You can format it via CMD. This worked for me on a Kaby Lake i5-7500 with Nvidia GTX 1050Ti (NV Gen2 config.plist) and Intel 630. For the 1050ti, you need to install the Nvidia web drivers so I recommend installing with the Intel 630 graphics firstly. Thanks! I couldn’t do step 11 and 12, after Win32diskimager ended to write, i can’t browse my USB device anymore. Win 32 disk imager says: An error occurred when attempting to get a handle on the device. Error 5: Access is denied. I’ve seen in Win7 that it will not let you assign a drive letter in diskpart for removable media but Win10 will mount the EFI partition on the USB drive. I got clover boot loader but when i select boot in Install Mac X from USB. Im also copy and past config file too EFI’s clover folder. But it gone a restart after select Mac X from USB. I have hp laptop with Intel Graphics HD5500 and AMD Radeon. Your config.plist file is not correct. Unfortunately, we don’t have the config.plist file for HD5500. Ciao, ho creato una pendrive con win32diskimager-1.0.0, scaricando ciò che serviva come da guida. La pendrive è stata creata correttamente, però alla fine windows non la rileva per poter modificare il file config.plist. L’ho avviata ugualmente, escono le varie scelte della clover, seleziono quella d’installazione, fa una sfilza di scritte e poi la macchina si riavvia posizionandosi nuovamente sulle varie scelte. Quindi non sono riuscitto ad installare Sierra. Datemi qualche delucidazione grazie. the EFI-Volume is not avalible in Windows 10. In Linux it is also not avalible. Make sure you format it before writing the image to the USB and also make sure that you use the Raw image file of macOS while selecting the file. I can’t read the USB-Stick. Note: Most of the time this error occurs because of not selecting the accurate image. can’t write to usb, nothing in the disk and i can’t open it also. windows is saying to format it. the disk size is reduced to just half now. I had to go to disk management to delete the volume and then format it again. either the file is corrupt or this option is not working. I downloaded the latest (updated) MacOS you provided, and I can’t seem to know what to do. Because the .raw file have 2 files on it. Which one should I make a bootable? It seems like the raw must not be extracted, I just extracted it just like on the video, and I thought they were the same but I am wrong, thanks by the way. I will definitely try now to boot into it. Which config.plist should I use? Give a try to Nvidia Gen 2. Does it work for legacy? Yes, it works but legacy is not recommended. Hi i have a MSI GX70 3cc laptop with AMD 8650M and AMD 8970G vgas. which config file do I use? For AMD processor it’s not working most of the time. Hi, I have an MSI GX70 3cc laptop with AMD 8650G internal VGA with AMD 8970M secondary VGA. Which config file do I use? AMD Processor does not support Apple Operating systems except some of them. I installed successfully, but audio, wifi and keyboard do not work (some other parts may be not working, I haven’t tested yet). Please help!. still waiting for root device then prohibited sign appeared. do you have any solution? Hi, I have downloaded the latest update macOS sierra dmg file here and other requirements for creating bootable macOS from windows by following your instruction here but whenever I use win32 disk image for write macOS dmg file after it finish write, there is not create EFI space for clover boot for the flash drive this is problem which is I am facing since 2 days ago, please what is solution to this problem? Hi, can u make a torrent download for the raw file? My internet is very slow right now and internet download manager doesnt work and stops downloading it after 2%. Thanks. We will try to make but can’t guarantee you. Is it compatible? what will i use? I think this system is not compatible with macOS but the good news is this that the processor is Intel. You can try once. Make sure, you backup your data. My Graphics thing is GTX 1060 with 3 gb. what config file do i use? hi i have INTEL GMA 3100 chipset which one i should use in the Pacote de config please replay me. Sir i want to choose config.plist file for j2900 intel r pentium processor which has HD GRAPHICS .it is based on intel 7th gen ivy bridge architecture. Which config.plist file should i use ? I have lenovo B590 does it possible to install macOS Sierra on it. i tried so many artical with . i have 3 Gen core i5 and 4 GB Ram. Does this image work on my laptop. Installing macOS Sierra on PC is a bit hard dear Talha. You have to try once. Make sure you have to take backup from your file because while installing macOS Sierra, you should not lose your data. I want to install mac os on dell latitude e6420 and intel hd 3000 graphics card. But after apple icon and a loading bar completed icon like this appeared and setup stops working. What should i do now??????? Did you change the config.plist file in your USB? Unable to open EFI partition. As soon as the write process is done, dialog to format disk pops up and I can’t access any partition neither EFI nor Install Sierra. I used .raw image only . I tried this on Windows 10 x64 machine , Win 7 x64 and that too multiple times. Still same issue. How to fix it? Firstly, you need to format it to Fat32 then use that drive on Win32DiskImager. Also, make sure you use .Raw image of macOS on Win32DiskImager otherwise it will not work. Give a try to Nvidia Gen 2 config.plist file. nividia GTX 970. which config file should I use? Hello, I have a Nvidia GTX970, what file do I need to use? On Win32 Disk Imager hash: MD5 and Generate should be enabled? Thanks. Use Nvidia Gen 2 config.plist file and let me know if it works. Something went wrong in installation process. What settings should be on Win32 Disk Imager? Hash: MD5 and then Generate? Which Config.plist folder file match Nvidia GTX970? Nvidia gen 2? Thanx. Hello, I have a nvidia GTS450 what file do I need to use? And my system disk are Raid0, can it install the macos sierra? Your hard disk should be GPT or Guided partition Map. Give a try to Nvidia Legacy Config.plist file. Which config.plst should I use? Give a try to AMD Legacy. i have a NVIDIA Geforce GE Force 210 wich plist I must use? My HP Pavilion 15n204tx Laptop have GeForce 740M Graphic card which config.plst should i use? I followed your guide … When i get to the clover bootloader… I dont get the boot mac os option… How can i fix it? Hi. i had a hakintash with clover.i have a ssd and a hdd.it was installed mac o sierra on ssd and win 10 on hdd.Since win 10 cant boot i changed something with clover configuration and the mac sierra cant boot any more. only i see a black screeen.How can i fix it? I have Asus S451LB with i7-4500U and Nvidia GeForce 740M, which config.plst should i use? Great web site. A lot of helpful information here. I sending it to some pals ans also sharing in delicious. And obviously, thank you in your effort! I get a message after I run the installer that says….exiting services.abnormal code 1.what does that mean and how can I fix it? i get all the way to the end of the boot and it says….services exiting abnormal code 1.any suggestions how to get past this? If your device is compatible with macOS so you can install it. Don’t worry try one more time and follow this step by step guide. Did you enable AHCI mode from your system? I have Radeon R9 280X Direct CU II, wich plist I must use? Hi we can’t download mac os sierra’s file, can you reupload the file please ? I can’t download the zip file. Please can you send me an another link? There are three files that are zipped. Which one is not working? We have only once link right now. If we could buy online premium storage then we update the link. Does this work for 10 Series GPU’s such as my 1080ti? It should work with this system definition you mentioned. i have a intel i7 and a Nvidia Geforce 940mx on my laptop what config file do i use?? I have tried to use this.When I select my Bootable USB drive It shows me “Invalid Partition Table”.Can help me Please……? If anything remains unclear, then do let me know. Sometimes when we do something wrong it will cause the same problem. Watch the video down below and do the step by step. U disk is reduced from 32GB to 6.67gb, please tell me how to recover? The problem has already been solved. Well, by the way, Thanks for sharing your feedback. Thanks for sharing your positive feedback. Your comment is replied above. what file I need to copy on usb? Give a try to Nvidia Legacy. Is it possible to use both video cards or at least the nvidia or i can install only the 4600. What pacote do i use for nvidia if yes? Will the 4k dsplay work at higher resolution or only max FHD? After writeing usb window say’s you need to formate usb drive and usb not opening what should i do?? problem with the config.plist file. and checked also other websites, from tonymac86 with all sorts and types of patches, yet also from github (https://github.com/RehabMan/OS-X-Clover-Laptop-Config/blob/master/config_HD3000_1366x768_7series.plist) that did not work. it is stuck on the apple log after 55% (when the logo “circle with 300 degree line” appear ). it is just about the correct config.plist file. the question, can you present the config.plist file that will work here?? It seems that your system isn’t compatible with macOS. that per configuration work with kext work (patches,) perhaps other participants in the forum prepared such file?? So that’s nice. You can follow the guide mentioned on that site because here I want to help, but I can’t help, since I haven’t tried on any Acer laptop. We have the general guide but seems that it’s not working for you. So you need to find an exclusive guide for your notebook. it worked a bit . it is not collapsed . yet there are other issues. i will work on these. Thanks for sharing this information with us, now did you successfully install macOS? The issue is that from various websites, they said that on laptop with hard disk with windows, installing also macos will cause issues. they said install first macos and then windows, or purchase second hard drive. what do know about that?? Zotac GT 730 2GB DDR5 Graphics Card.. Try the UniBeast way. If this method does not work for you try with UniBeast and it might work. which plist I have to use? Intel Graphic 3000, 4000, 6000, which one? Only on the official website of asus, is wriiten intel 4000, nowhere else. This is a low end laptop and I don’t think it has intel 4000. It has only 775mb of memory. what is tonymacx86? how do I check the compatibility? With this graphic, you can use HD graphics 3000 but I’m not sure it works or not. hello..I tried to extract the disk image with winrar and the extraction failed towards the end saying that the file is corrupt.I need you help. The file is alright you might not download correctly or something is missing. Just try one more time or redownload the file correctly. Yeah, because our other visitors did not ask before that they have this problem. Just try one more time. Hello…I successfully created a bootable usb for macOS sierra but I can’t suitable config.plist for my notebook…I am using hp 15 ay011nx with intel HD 520.None of the config.plist worked for me.Please help. Hello, Thank you for your Post very helpfull. I have already installed mac os sierra on my Toshiba L745, and sierra is working properly besides some device wont work but no problem at all. My problem is i cannot dual boot with my windows 10 that i have installed before. I can boot mac os if i plugged on my usb that i use to install sierra. do you have some advice? Thank you bro. but i set the boot to legacy. When you get this error? I had extracted the Sierra.app, that I got on macbook. Inside it, exist a .dmg. How can I try to install using it? Use Internet Download Manager (IDM) and it’s the software for slow network. Hey dear, You can use Internet Download Manager (IDM) to download the file. It’s the best downloader. How can I do this using a .app installer? I’ve got it in a macbook, and I want to install on my computer using it, but when I open it on my windows 10, it think that the .app is just a folder, not an archive. What can I do? Can I do this on 1. Windows 7 and 2.with a .dmg Sierra OS taken from other source (aside Your page) I used mobile network in downloading that dmg Sierra OS and I’m already broke. File that size costs plenty money down here in Ghana. It can be installed and I can’t grantee you dear. Here is the macOS Sierra DMG file for free. I tried to install but on the first boot a lock sreen appeared and I tried all passwords and nothing happened. What exactly you want to do? Do you want to reset your password? or you Want to create bootable USB? Leave Sierra is their any other macOS can I install? including versions 10.9 and later !! If yes then pls let me know the procedures…! So their is no way to work macOS Sierra in old GPUs ? Can u pls upload plist for lower GPUs… means below Intel HD one’s ? I have dell inspiron 5999, intel core i7-6500U with intel graphics 520 . I have no idea which file to select in pacote de config folder. Please help. Go to NotesBooks > HD5XX > HD520 530 540 and use the config.plist file. If didn’t work then use another config.plist file. i have a m3-6y30 intel processor which pacote file should I use? Please send your full system specifications. Lol ! Nvm I meant adjusting win 10 for gaming!! OK… Can I get some ways to fix lag or increase FPS in win 10 ? hi admin, how can I move the config.Plist file, while after install boot file on flashdisk, my flashdisk does not appear on the desktop. You need to create the USB Installer on Windows 8 or 10 otherwise it will not show the drive on Windows 7. Can u pls provide link for Mavericks ? raw file !! coz I know Sierra won’t support my old system !! Sorry But Currently we can’t provide you the link we just macOS Sierra and OS X El Capitan. You can find the El Capitan link on the site. My graphics is intel graphics hd no number after what config do I use ? Give a try to default config.Plist file, if didn’t work then try HD 3000 or HD 4000. Can you boot into macOS where you select the language? My laptop has intel 6200u skylake cpu with intel hd520 graphic and nvidia 930 m. which config.plist should i choose? Give a try to Nvidia Gen 2 or HD5XX Config.Plist files. 1- Can I do same as you and install mac on it ? 2- If, Yes ! What Plist config to use ? Hey dear, I am not sure about your laptop because I haven’t tried on HP ProBook, but you can give a try. The file above used is an ISO image file? coz I had recently downloaded Mavericks ISO file !! if I’ll use the same method and select that iso file then it will work? coz I know that macOS Sierra will not work on my…old PC (may face some lags) !! 2nd) If yes then in which FS should be NTFS or Fat32 ? 3rd) It will or Mac(0.9 and later version) supports UEFI or not? It is not an ISO file it Raw, and I think the ISO of Mavericks won’t work with this method. Always use Fat32, and it supports the UEFI. Not sure but you can give a try. I recommend you to create USB Installer using Transmac and install macOS on your Macbook Air. Use Notebook > HD5XX > HD520 530 540 config.plist file. Recently, I need to work with Xcode for school homework and sometimes I do them at home, without a Macbook. So, from a friend’s story, I learnt that it is possible to install Mac OS X on a computer or laptop that runs Windows. I immediately started my research and intended to install Sierra on my old friend Toshiba Portege R705-P35, who has been with me since 2011, currently dual booting Windows 7 and Ubuntu 16.04.2. I began with this tutorial on WikiGain. I followed it correctly except for two things: I worked with Windows 7 Home Premium x64 and didn’t add the Config.plist file as the tutorial suggested thinking it wasn’t necessary because my laptop doesn’t have a dedicated graphics card. I thought I was safe after getting into Clover’s menu but eventually hit a wall. No matter what I tried, every booting attempt ended at “Still waiting for boot device” with a blocked sign and garbled text. Changed SATA mode to AHCI and left it so for every later boot. Changed to another USB port. Unplugged then replugged the USB to the same port and to another port after the error message displayed. As I don’t have access to a Macbook, I can’t try other solutions that require software which only run in Mac OS. From the message, I understand that somehow the installer lost contact with the USB mid-installation and failed to continue. As I observed when I replugged the USB, its light flashed for one second then immediately went out. I used a brand new Gigastone U207 USB 2.0 Drive so I don’t suppose the problem is with the bootable USB itself. First I really appreciate that you followed every step of our article. Plz check out our other guides related to this question. We have posted lots of more articles about installation of Macos on different platforms. Also check your laptop compatibility with MACOS. Is it compatible or No. My laptop is rather old so I couldn’t find much reference online. Regarding compatibility, I did a quick check before doing this and found out that my laptop CPU (Intel Core i3 370M Arrandale) is compatible except that some tweaking is needed for the GPU to work. I think I read this website here: http://osxarena.com/2015/09/hardware-compatibility-list-for-hackintosh-mac-os-x/. Given that Sierra is over the top for my laptop, I am considering trying older versions such as El Capitan or Maverick and a different software like TransMac next. I will follow this tutorial on your website https://www.wikigain.com/create-bootable-usb-installer-for-mac-transmac/ and see how it will turn out. By the way, what is your opinion on distros of Mac OS X. Many said that they are easier to work with and that after I get them up and running, I can use them to get the official dmg from Apple for a fresh installation. Talking of dmg, I couldn’t get my hand on one for Maverick. I downloaded one or two but none seemed to allow booting after I used them to create a bootable USB with Win32DiskImager. Again, thanks for your help. Much much appreciated! Thanks for Sharing your Feedback and good luck. Did you changed your config.plist ?? not sure if I have to post here. My problem is that I have sierra.dmg file on windows system . My Macbook was crashed and I want to re-install on it. Transmac doesn’t work in my case even if I carefully read a tons o guides. In my understanding this guide show how to make a bootable usb to install OS X on a pc. I am not able to open EFI partition on windows to replace Config.plst file as i am on windows 32 system. Any idea how to excess this EFI folder in Win32 ? You need to this stuffs on Windows 8 or higher. If you are doing this on Windows 7, then it will not work. Yes, Follow these two video tutorial. Hi Can you please give a torrent link. My download speed is to low and google drive does not have resume support. If my connection is lost I have to restart my download. So plz giv me a torrent link. Hey dear, Please download it via Internet Download Manger. It’s even better then Torrent. I recently built an i5-7600k with an msi z270 gaming m5 motherboard. I do not have access to a mac so i used this method. It all went smoothly up until the installation i plugged it in and was greeted by the clover boot loader screen and i am given two options boot mac os from install mac os sierra which when clicked displays the error messages seen below in the white text. When i choose the second option boot clover from efi it displays a screen with options one of which being continue to proceed with boot process and when i select continue it just displays a black screen for a few seconds and then it goes back to the same screen. I have entered the fakecpuid i found on the tonymac fourms but it hasn’t helped. I would appreciate any help, thank you. Have you placed your system config.plist file to your USB Installer? If no then do it and also try to boot with Spacebar Default boot args. On the clover screen, select your USB Installer (Install macOS Sierra) and hit enter. Hello, I have laptop Hp Dv6701tu. My question is what config file I need to copy on my usb? Thank you very much. What your full system specification? Go to Notebooks > HD5500 and use that config.plist file If didn’t work let me know. Yeah, Thanks for sharing your feedback dear Henry. No, you need to do that on Windows 8 or higher. Which config.plist will i use from Pacote de Config folder. I need help, please. I can’t pass from here https://drive.google.com/open?id=0B4lSNebcvczlai1mTWNTcGM4WDg I’ve tried different boot flags and nothing. The link shows a 404 error page, please re-upload it. Hi thx for the guid. My problem is i cant connect to wifi im using probook 4730s. Did you install macOS Sierra on this laptop or no? I have a nvidia Geforce GT 730. what file I need to copy on usb? Even if I use NVIDIA gen 2, I still get the same error. However, I tried to get the EFI from a thread from tony macx86. It work until the Apple logo appear and stuck at 80%. Do you have any recommedation? No , Jafari . It’s the first step on screen when I boot ( choose boot option : Install Mac OS from usb ) . I followed your guide to finish create bootable mac usb and I have done. – What step for me to do next ? – My computer is Toshiba satellite L550 , Which mac os version I can run on it ? Did you install macOS Sierra beside Windows 10 or on a separate disk? I got Panic cpu. can’t perform kext scan : no kext sumarry. I install sierra with windows 10 Installed. what should empty all disks? i ve instll it, but i cant boot 10.12 from my portable hdd that connect to usb 2. help me here plz. Thanks for your great instruction. But I’m still wondering about my config.plist file. My laptop is MSI GT, with i7 6720HK and Nvidia 970M. Should I choose Nvidia gen 2? no bcz all like the tutorial. u need all other detail. i,ve install sierra on portable HDD. then i install multibeast but after restart clover doesnt boot. it boot to my windowz. so i restart again and select my portable HDD to boot. i only can boot clover from my usb sierra installer, from there i can boot sierra from my portable HDD. Did you brought any changes to your BIOS or No? which .plist shall i use? Do you use NVIDIA graphic card or Intel? what happend to my fd.? did ur file just destroy my 64GB fd.? We have told everything in the post so you could read the whole content then apply the steps. what is the right config plist should i use ? cz i didnt see any nvidia in notebook folder. i’ve already create usb sierra installer. then my 59GB FD become 200MB, what happend. How to convert it back to original ? cz i really need that after i installed sierra. First i selected efI system partition in WIN32 disk manager after finished i got just 200 mb file and rest of my usb stick storage gone3 somewhere else (not accessible and visible ) . and when i tried with other .hfsx file it took time around 10 minuts and made my usb stick un usable i had to make partition again with easeus partition managaer plz suggest how to make and install mac in my intel pc thanx in advance . I’m using. AMD processor A8-5500. For GPU Nvidia GTS 9600. I’ve configured the BIOS. But when try to boot with my USb installer (UEFI) I got reboot loop. Once try NVIDIA Gen 2 and also Enable ACHI from your system BIOS. I hope you dont mind my asking, but would i use AMD GCN config.plist file for a Radeon HD7800 core? Ive found the right plist file, but i have a new problem, windows wont show the usb in explorer (and i have found out why, its got 3 partitions, one is EFI, the other is the files for install) disk manager shows the partitions, but wont assign a drive letter, and partition wizard does the same, but atleast i can VIEW the files, any help here? I suggest you watch this video once. Yes dear, You can give a try. My laptop is Sony Vaio VPCEB23FX. So, my laptop is compatible with mac os sierra? I’m not sure about this system. You can give a try. Don’t know what to do from this point onward. You tell us to follow the video closely, but the video shows no extraction of a bz2 file. You have to keep the .raw file and don’t extract it anymore. I am having trouble finding which config file I need! I don’t even know how to tell what I need as nothing in any of my computer information matches whats in the pacote de config! So what’s your system specification? I am sorry you have an AMD processor that why usually it’s not compatible with macOS. Thanks anyway for checking for me though! If somebody need solution for this hardware I can help. Another thing, are you thinking in actualizate the ISO? Because when you install with this tutorial, it install Mac OS X Sierra 10.12, and there’s and actualization for 10.12.3. I’m thinking in try this with my laptop. You have a miss with your video… after extract Install macOS Sierra.raw and than appear 2 file, file 1 EFI System Partition.img that file can proceed in win32 Disk Imager and but in file 2 disk image.hfsx can’t run in anyway that have very large memory 6.35 Gb (i sure that file have bootable macOS usb). Where can i run that file? I’m not sure what you have done. But you have to extract that file one time with 7zip and that’s it. Most of the users making mistake here. They Extract the file Two times. And that’s not the correct way. Second extract it via 7zip and you get only one file. If this method of USB Installer didn’t work for you then give a try to the Unibeast method. After that follow the step by step this article: How to Install macOS Sierra on PC. If you don’t have access to macintosh (Macbook) then you can install macOS on VMware on Windows then follow the Unibeast guide on your Windows 7/8/10. When you install mac operating system on your PC you, most of the drivers do not work. So just visit this the article below. Fix ethernet, sound, and other problem. Hey many thanx, your tutorial was very helpful as i finally managed to create a functioning bootable usb installer and I was able to install Sierra 12.2 on my PC about a week ago. Other guides and efforts using unibeast etc didn’t manage to provide a successful outcome. I just wanted to ask If you have updated your raw file to the latest Apple release Sierra version 12.2.3 and to the latest clover bootloader? Many thanx again, your guides and tools are the most comprehensive ones out there and I have spent many days reading literally a dozen of guides on different sites specializing on the subject. We’ll try to upload the latest version of macOS Sierra. or i have to add the Install macOS sierra raw file..?? Please advice?? Use the Raw file in Win32DiskImager. If didn’t worked then once extract the macOS Sierra Raw file and use that in Win32DiskImager. So now what to follow can i add the disk image.hsfx in Win32 Disk Imager??? Watch the video tutorial and follow step by step. I have Asus laptop with Nvdia Geforce 740M, which plist to use? Is it Nvdia Gen 1? trying to get this configuration running on a hp dv7-1262 core2 duo t6400 @2.0GHz 4096MB and nvidia geforce 9600m gt….it crashes when reaches waiting for root device i think ’cause the screen gets garbled up and a white circle with a line across. help? Hey place Nvidia gen 2 to you USB Installer and then try to boot. I just download the file using your link, but i can’t extract it using 7-zip neither winrar. Is there any trick to extract the file? No dear, you can watch the video tutorial that we extract the file using 7Zip. Hello i have Dell Precision m6600 with Intel Core i7 (Interl vPro), 16 GB of RAM, an Nvidia Quadro 3000M. I am not sure about your system but give a try to Nvidia gen 2 and HD 4600 config.plist file. Also, don’t forget to boot with nv_disable=1 boot flag. hi, i follow everything exactly as is, but after its done writing it turns the usb into a local disk. How do i fix this? What do you mean by Local disk? What do you want to fix? but how create macOS boot on dvd/cd? You can’t create that DVD/CD boot for macOS. Hello, Fisrt Sorry for my bad english, i´m stuck because my laptop use a Intel HD 4000 but also use a Nvidia Gforce 640m LE. Which option can i choose? Hello, I have a laptop which is a Dell Inspiron 5459 6th gen and my specification are Intel Core i5-62000 with integrated Intel HD Graphics 4GB and gpu AMD Radeon R5 M335 2GB. I would like to know which config.plist I have to pick and from what folder, Notebooks or Desktops. Thank you. Haha sorry, dear Chuck Gorospe! We only uploaded the file on our Google Drive not anywhere else. – My graphics system is ATI Mobility Radeon HD 5145 , which name of folder I will choose for config.plist ? – When I write mac os on usb by Win32DiskImager , then I can’t open usb on windows xp to paste file config . What i should do ? Use AMD Legacy and when you create the USB Installer don’t extract the Raw file use that in Win32DiskImager. If you extract that then you will have 2 files and when writing them to the USB then it’s not going to work because you need to use the Raw file in Win32DiskImager. How can i make install macos sierra.app folder to .raw file. I downloaded it from mac app store. If you need to place the plist file then let me know I will send you the steps later on. I try it with unibeast. But i stuck on stop logo. Now i want to create usb installer by windows. But i have’nt .raw file. How can i create usb installer by [install macos sierra.app] folder. Remember to Extract the File once then you will get the Raw file and use that in the Win32DiskImager. You don’t need to extract the Raw file. In Win32DiskImager select the Raw file and write it to the USB. Hey, when you create the USB Installer don’t extract the Raw file use that in Win32DiskImager. If you extract that then you will have 2 files and when writing them to the USB then it’s not going to work(saying need to be format). So you need to use the Raw file in Win32DiskImager. Hello, my specification is Intel Core i3-330m with integrated Intel HD Graphics, 3GB RAM. Hello i have acer 4741, with intel core i3 HD graphics. and my question is what plist file does that need? Some of the laptops are compatible but some of them No. It depends on your system. The first kernel panic occur before 2 seconds boot clover & is this one: panic cpu 0 caller… “zone_init: kmem_suballoc failed”/library…etc. I think there are some parameter in config.plist or kext relationship with Graphics, baut I dont have knowledge to fix it. My hardware: Lenonvo ideapad -ISK i3 6100u. Motherbord Lenovo. RAM 8GB DDR4 2100. HD 520. Have your try boot flag’s like nv_disable=1 if yes then I am sorry for you, I can’t give wrong suggestion. Also I think that your laptop might not be compatible with macOS. Hey, I can’t seem to make my windows 10 laptop to open up my EFI ( flash drive). It can’t seem to recognize it. Hey dear, Seems that you have extracted the macOS file twice that’s why. Just download the macOS File from the link above and extract it one time then you will have a Raw file. Use that in the Win32DiskImager. What plist file do I use for Core i5-6400 with onboard HD530 graphics for a desktop system? I also have an old Nvidia GT210, what plist file does that need? I think my issue is something to do with the mouse, It gets to VoodooPS2Mouse then stops, then after a short while the writing goes scrambled and I get a white no entry sign in the midle of the screen. I have tried different mice, different USB ports, even a USB mouse plugged into the PS2 port via an adaptor but they dont work. It isnt the mouse, but it doesnt work with the onboard gfx, it always does the writing goes scrambled and I get a white no entry sign in the middle of the screen. Any idea how to get this working? Seems that you have not extracted the macOS Files if did it then you have twice extracted. Just extract the macOS file once and you will get a Raw file with no extension after that use Win32DiskImager to write the Raw files to USB. Hope that it should be helpful. hi there, I’ve install on my HP ac146tx and I got a kernel panic. Then what should I do? Hey dear Zavier, I have some tips. 1. Once boot without caches and use nv_disbale=1 boot flag. 3. If already did it then use another one. I have lenovo ideapad 110 notebook, HD520, i36100u.My BIOS havent Sata cpntroller optio. I follow all stps word by word. Have placed your system config.plist file to your USB Installer? If you no then do it, if yes then use another config.plist file. I have an self build computer with an Intel Core i5-6600K and a NVIDIA GeForce GTX 1060 6GigaByte . Which config should I use ? Give a try to another config.plist file similar to your graphic. Hey, you don’t need to extract the Raw file just select that the Raw file into Win32DiskImager to create USB Installer. Hello I have two graphic card lenevo y50 ( Intel HD 4600 and Gtx860m What can I do? Use Intel HD 4600 Config.plist file and when you get into Clover Menu then make sure you boot with (nv_disable=1) Boot flag. can’t open my usb. it shown that should be format? what to do? i want copy and pest config file! It didnt showed my usb in boot. After that i just formated the whole usb stick and now it shows that the usb got 0mb just Zero?? What can i do to recover / Reset my usb stick? which config.plist should i use i have intel HD graphics only but properties show Intel chipset family….? Which Intel HD Graphics like 4000, 4200, 4400, 5500 and others? Open Run (Ctrl+R) then type dxdiag. It will show full information. Can I convert DMG to ISO file using PowerISO and then created a bootable usb flash drive and lastly By BIOS boot USB Drive…. I don’t think so but you can give a try. If it worked then let us know. Jani which config.plist should i use i have intel hd graphics only not 2,3 or 4000. 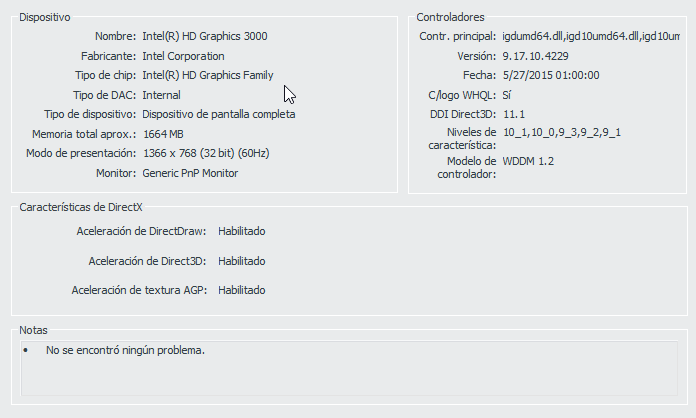 For Intel HD 4000 Graphics use HD4000 config.plist file. Alos it depends on the graphic card. i got the nvidia 530 which config i should use? It dont show my USB device ? Also my windows 10 wont Start now. This is what i have when 7zip the .raw file. Open Win32DiskImager then Select your USB and click Browse then choose the File that you place in your Desktop (Install macOS Sierra) then finally write this to your USB Device. If didn’t work use another USB. I have a Notebook/laptop running amd ranedon r5 graphics with an a8 processor. Which config.plist should i use? I could try using the desktop amd. When i 7zip the file like in the video i get a hfsx file and a disk image file. Which one do i use? Use the Disk Image the Size is 6.67 GB. The disk image.hfsx is 6,664,108 kb. Just loaded with win32 went to open it then it said need to format this drive before using. Why does the video show it as just a file at 7gb? and why is the EFI system partition not showing in the video? Did you place the correct Config.plist file to your EFI USB Installer. I think you’ve extracted the file for two times. You have to extract one time and then follow the guide or watch this video specially 1:30 of video. NO EFI on my explorer.. can open USB DRIVE too..
Hey did you select the macOS Sierra image file on the Win32DiskImager? hi yes, I got it working by disabling the intel graphics inject in clover. i’m gonna used the El capitan since alot of problems have been reported with Sierra until patches come out. I use dell inspiron 15 3558 i5-5200 with hd 5500 and get nanosecond stucked, do you get it too? Hey did you used the correct config.plist file for your USB Installer? I Have Radeon HD 3450 so Which one config.plist is good for me.The config in folder named HD3000 ? if my graphic card is nvidia 820m would should i choose NVIDIA GEN 1 or 2? You can give a try to Gen 1 if it’s GT Nvidia and also you can use Intel HD graphics because you can pass the Nvidia by Nv_disable=1 boot flag. I will install in laptop/notebook i5 5200u which vga intel 5500 and vga nvidia 820m. So i think use in folder notebook intel 5500 and after success install osx i will install vga nvidia that’s right? thank’s for attention. Hi. I created the bootable USB on my Win7 PC, but after the “win32…” utility completes the process the USB disappears from my computer so I can’t finish all the steps. Same result when I tried with different USB. I checked both USBs on a Win7 notebook – also not showing up in My Computer, only on Device Manager under Storage Devices. Clover boots tough on both stations. See the article in step 3 when you right-click to disk or your disappeared USB then select Change Drive letter or path and go ahead to add a letter to your USB. Isn’t you USB assigned letter? there is no install mac from USB option. Have you placed your config.plist file to USB Installer? If yes then try another one. I got to the boot screen, loaded the installation and after about 30 seconds of stuff going across my screen, something comes up. Follow the link to see the picture of the screen. Any ideas on why this came up or how to fix it? Because you can place your own system config.plist file. It was the configuration file. I tried all of them and only one was different. It had gray diagonal lines going across the screen and between the lines, i could tell it was the stuff going down my screen before and the first screen of the mac setup mixed together and it was all screwed up. After a while it would reboot. I’ve been stuck on this problem for a long time. Place your own system config.plist file from “Pacote de Config” folder to EFI > Clover(USB Installer). Also, check the article below for the knowledge that you need to know how to boot correctly. i have created a bootable usb drive. but now please guide me how to install this MAC OS on my laptop as i am really unable to do so..
Now that you’ve created bootable USB you should install it on your PC. To install check out the below article. I have Windows 10 x64 and Win32DiskImager doesn’t work on it . Is there any solution or another software to solve this problem ?!! What’s the error? It works on X86 & X64 bit operating system. How do you do the pen drive-formatting? With USB 2 it has not worked with me, only with USB 3. Thank you Mukhtar! It was a very interesting experiment for me! Excellent. I’m so happy that this method do work for you guys. I HAVE MACBOOK PRO IN WHICH MY HDD WAS CRASHED & I BOUGHT NEW HDD FOR MACBOOK PRO HOW CAN I INSTALL MAC OS X ON HDD AGAIN I DONT HAVE ANY IMAGE FILE ALSO. REGARDS , THANKYOU. #1. Create bootable USB for macOS Sierra using the following methods. my lappy is lenovo g50-80 with i3 5005 2ghz cpu and 8gb ram.i created mac sierra bootable usb and used 5500 Config.plist for replacing in clove folder. also followed efi boot set up explained in tutorial by pressing novo button. but i could not find usb in efi boot in boot menu. For more information watch the video down below. Me too. But i saw in other tutorial that we can use disk32 thingy to select the .raw file. And finally i got the “EFI” folder in which we can copy and replace to complete the process of this tutorial. I think OP use the “not showing extension”. Which mean, in the video, the .RAW file is actually BZ2. And the extension-less file is actually the real .RAW file. It’s complicated like that, yeah. Thanks for the tutorial BtW. Now trying to tweak and boot up. The download link is updated. Now you can download it from google drive. Follow the video so strictly. What is your question? How can I help you? After completing bootable flash drive Mac os Sierra. Mac is running white line run complete but after that not showing mac Sierra desktop display. How can i solve the problem? After extracting the “Install macOS Sierra.raw” file with 7zip, I got two files in the folder, They are “disk image.hfsx” and “EFI System Partition.img” . Watch the video down below carefully. OK. I filled my phone with a bucket of credit for LTE speed of download. And finallllly. Install macOS Sierra.raw.bz2 is corrupted. Can’t be extracted through anything. Please download it on your desktop and extract it via 7zip or WinRAR. Then we will tell you the next step if required. There is no way to extract it. We have extracted via 7zip & WinRAR. Both are working well. Watch the video. Sir, I did watch. I understand the steps. But like I mentioned earlier in the imgur link. The “extension less” file is inside “Install macOS Sierra.raw”. But the “Install macOS Sierra.raw” is inside “Install macOS Sierra.raw.bz2” file, which I cannot extract. It always says corrupted. The link will be updated don’t worry! The file can be corrupted by the download on the internet. I had the Megasync limit (5Gb per day intersected). The next day had resulted a corrupt file. Can you describe to me what should happen right after the boot, so I know if I am correct! If the link is not working well we will update the file with a direct link. Please wait because it’ll get time due to slow internet. Downloading image file is a pain. I saved to my mega drive, downloaded using my android tablet overnight to SD card (cuz internal doesn’t allow more than 4gb file transfer). Turns out its size is exactly 4gb. And is corrupted. It’s gonna take days to finish the download on PC. With me had happened something similar, but it seems now everything to run correctly. If you are booting, you should adjust something? If so, what, and how? HI. What is the file extension for that macOS Sierra you shown above? Is it DMG? Yes! I used your link. That doesn’t have any extension. Just watch the video and it’s shown you there. Can I install with this the mac-OS directly on PC? Or was it made for virtual PC? This is for PC not Virtual PC. If you mean VMware or VirtualBox so this is not for that. So I thought too! I did everything according to the instructions. The “Pacote de config” setting might be the problem. I have Mobile Intel (R) GMA 4500MHD. And I called “HD4400 4600”. I could boot, but I did not know any more. Thanks! When you remove the USB and reconnect, again you can’t see it? First of all, my apology. I did not download the Sierra from here. Instead I downloaded from a local website using torrent because they have seriously fast down speed (2.3mb/s). Little did I know was that I downloaded the zip file with a bunch of folders in there which lead to file name InstallESD.dmg. Not img file. I tried creating bootable USB using win32diskimager and only one drive shows up as a “FAT32” and unable to open it no matter what. Then I tried again with another software “TransMac”. With that I managed to do it (with the same DMG file) and I got 2 drives. 1 is an inaccessible, and another is “EFI” drive. But nothing was in there. I managed to get to booting with “UEFI Innostor Innostor (USB-Disk)” (that’s my usb name i guess). And this command line saying I have incorrect boot device thingy, that’s when I realized I have the wrong file. sa me issue as after successful write image unable to access usb says must be formatted first. i don’t know wat to is there any special usb drive for that????? i try to follow instructions more that 10 times i ends up the same problem. Sometimes, you see that error but you can skip it and try booting with the USB. The Default Config.plist file may work for your device. hi, im trying this tutorial but i had a problem, i got a kernel panic, can you please help me? It’s Okay, your English is good. You can Use 4400 Config.plist to fix the issue. If did not work, let us know. I am stuck with the config file. I have a nvidia gtx 750. what file I need to copy on usb? You can use Nvidia Gen 1 or Nvidia Gen 2. Hello, I have a nvidia GT650M what file do I need to use? My gpu is an Nvidia Geforce GTX 1060 with 3 gb. which config file should i use? Are you using AMD or Intel System? hey whic configutartion file should i use ?? You can give a try to AMD Legacy. Hey I have a Nvidia GT 620, what file I have to choose ? hi , I have a problem with Extract file .raw because my system create 2 files instead of one. can you send me the file already extracted so that I can write it? Once try without extracting. Sometimes it works.